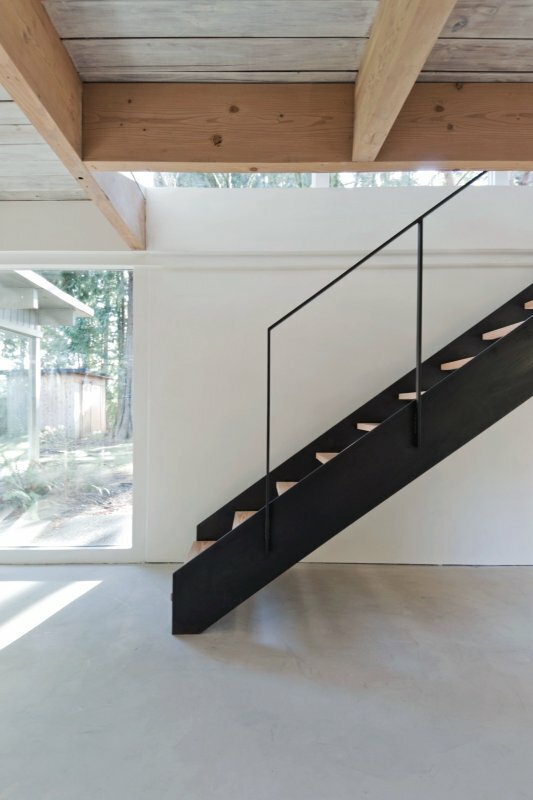 Modern enclosed stairway with full-length skylight over. In the project Paros House III in Paros, Greece, designed by John Pawson. Photographed by John Pawson.